Pen and Ink on illustration board 8″x10″ Rapidograph Tech Pen. Graceful seagull in flight; they are a joy to watch and both fun and funny characters to sit and observe. 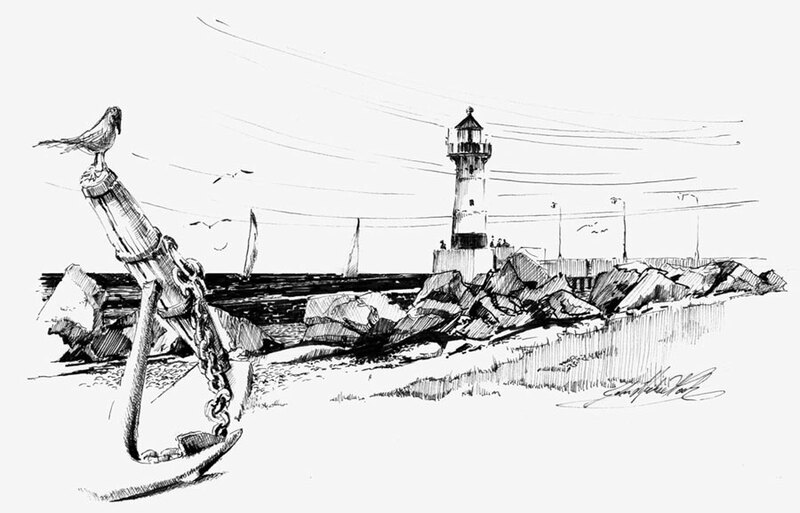 Catching them with a pencil sketch and later converting to pen and ink works best. Grabbing photo research helps, but there is nothing like watching and sketching to get the feeling of how much they enjoy flying. Makes you want to stretch your arms out and try. If you watch the children watching the birds, they mimic their flight with out stretched arms and share their popcorn to encourage the joy. Canal Park in Duluth, Minnesota – one of the best places to see both children at play and birds at work. This entry was posted in Drawing, Duluth Mn. 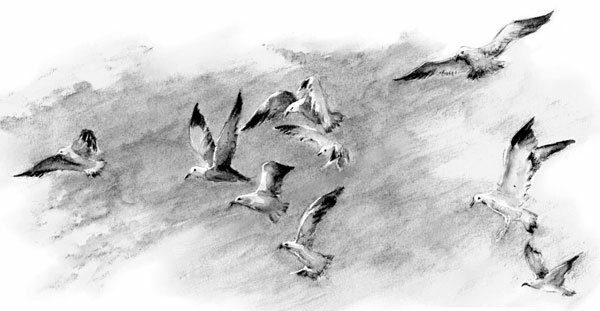 and tagged Bird-Birds, Canal Park, Duluth Mn., John Michael Cook, Lake Superior, Original Minnesota art, pen and ink, Seagulls on March 10, 2013 by eightdecades.